Charity is one of the most important activities to take part in throughout one's life. As brothers of Sigma Alpha Epsilon, we go to great lengths to provide charity and service in as many ways possible. From brotherhood events to hosting sorority and community philanthropies to individually volunteering, we always have a new philanthropy lined up. The two goals we keep in mind throughout any charity event are to both devote ourselves entirely to benefit the charity while at the same time enjoying ourselves. This results in overwhelming participation in all programs and events. 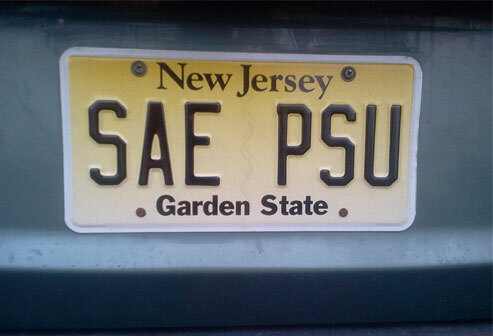 The campus wide activity that Sigma Alpha Epsilon annually partakes in is THON. This year long effort to raise money for children fighting cancer is one of the most popular and fulfilling activities. For four weekends, we leave the university as an entire fraternity to visit surrounding cities and towns to walk through streets, holding donations cans, to raise money toward the overall fund. We also send out hundreds of letters to family and friends to encourage donations to help increase the overall total raised. This fundraising campaign ultimately leads up to a weekend event in which hundreds dance and thousands encourage those dancing in efforts to help those suffering from cancer. An event hosted by fellow fraternities and sororities, Autism Speaks is a walk/run to raise money to cure autism. Brothers from the fraternity are involved in the walk/run while others host information booths and activity tables. This growing philanthropy promises to bring in more volunteers and donations for the years to come. Other events that take place annually are the Bob Perks Cancer Event and the SAE Food Drive. The Bob Perks Cancer Event is a charity in which community members host a fundraiser and silent donation at the Sigma Alpha Epsilon Chapter House each year to benefit those suffering with this disease. Also, the food drive, which takes place bi-annually, is where the brothers ask surrounding communities to donate non-perishable foods so that we can bring them to local food banks to feed the hungry. Finally, a new event that we are looking to do this year is a Ronald McDonald House Casserole Cook-off. Brothers will take part in making casserole meals for those families affiliated with Ronald McDonald Houses around the state. Although these are only a few of the many philanthropies in which the brotherhood takes part, we feel it is not only a opportunity but also a duty to give back to the school and community in which we have all become a part of. We welcome all those interested in serving the community to stop by the SAE chapter house and join the brotherhood in any of our many activities and events.